Being social has always been a large part of shopping behavior. These days, consumers don't need to shop with their friends in order to showcase their great finds; they can simply post a photo or video of their purchase and then share the post with friends, family, and more across social media. As part of the POPSUGAR Insights study "Beauty Evolved: How Millennial Women Shop for Beauty and Personal Care," we explored how millennial women are showcasing their beauty and personal care purchases for their friends and family. Overall, 41% of millennial woman say that they've used social media to showcase their beauty or personal care product purchases. Additionally, 45% of millennial women have included the name of either the brand they purchased or the store where they purchased the item in their social post. A little over one-third of millennial women have included a popular hashtag in the post so that they can be seen by a wider audience. 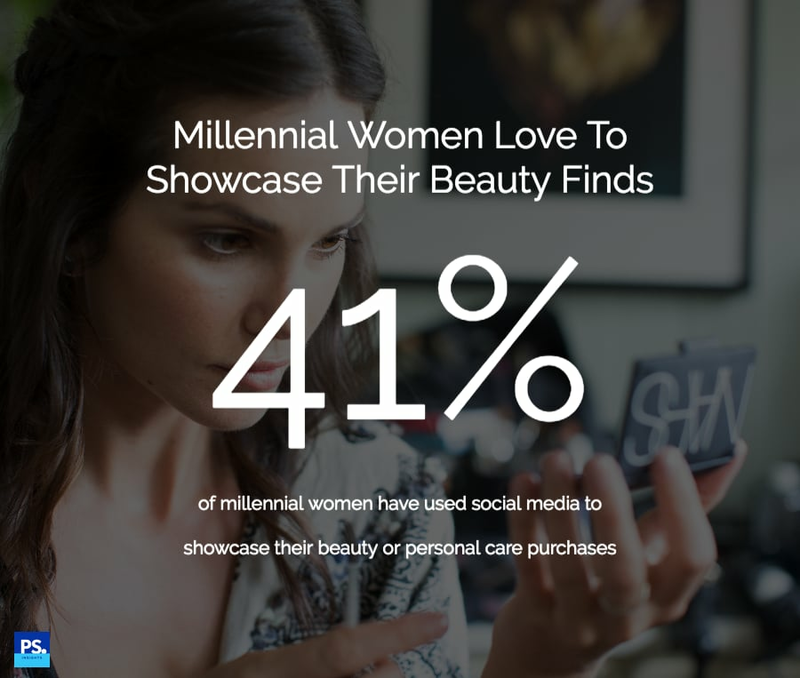 Showcasing product purchases appears to be a generational behavior, as only 27% of women 35 to 49 said that they've used social media to showcase a beauty or personal care purchase. Similarly, only 21% of women 35 to 49 have added a popular hashtag to their post, and only 38% have included the name of a brand or store in their social media post.